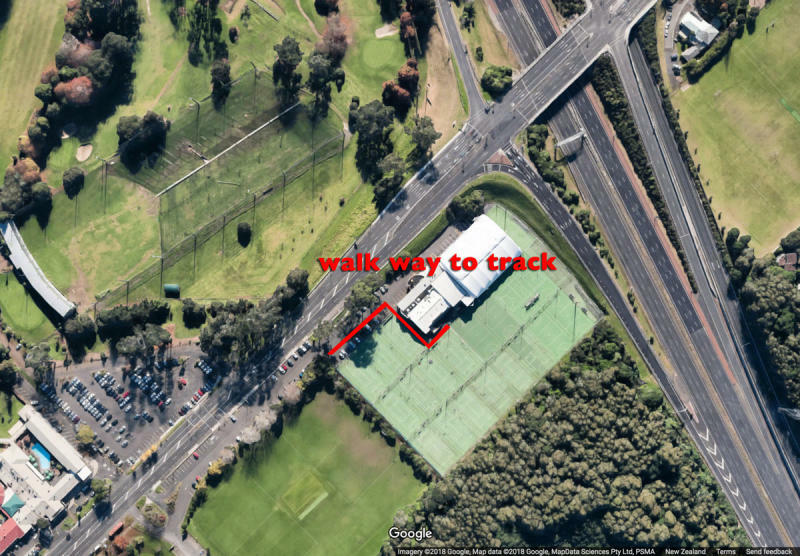 It's right next to the motorway, making it easily accessible; and also easy for me to write directions. You'll see the netball courts immediately on your left, but don't panic; the entrance to the car park is much further down, at a safer distance from the intersection. Find a spot. Please find a spot. Don't park somewhere that's not a defined car park please. We don't want to annoy our hosts on the first day. Walk towards the building, and as you get closer you'll find a gap between the courts and the building that will lead you towards the track. Follow the edge of the building and you'll find the court, and hopefully the track is ready.